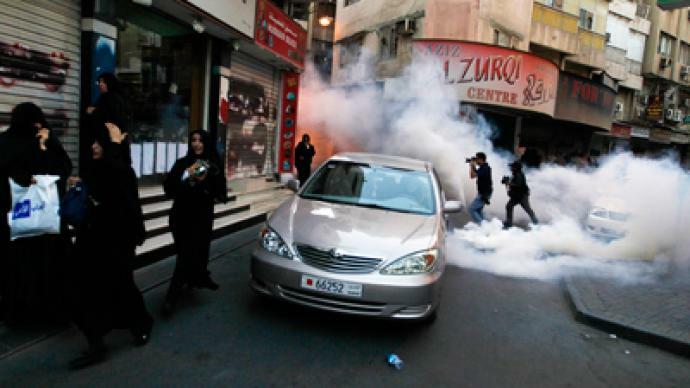 Bahraini security forces launched tear gas and arrested activists in Manama who defied the ban on anti-government demonstrations. The protesters called for the release of political prisoners and reform of the nation’s monarchical government. 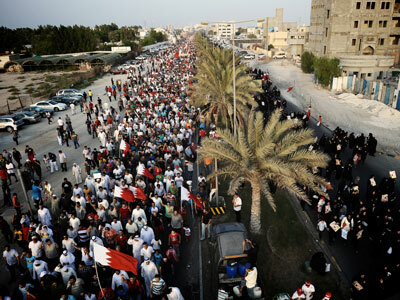 Dozens of activists converged on the old quarter of the Bahraini capital as they were prevented from marching on the main road by a police blockade. They chanted “peaceful, peaceful!” as they marched and demanded the release of all "prisoners of conscience" held by the government. Some of the protesters also called for the ouster of the country’s ruling monarchy. Police in riot gear rounded on the demonstrators, dispersing them with stun grenades and teargas, and making a number of arrests. The street demonstration follows the sentencing to life in prison of eight leaders of the country’s protest movement. They were found guilty of conspiring to overthrow Bahrain’s Sunni Muslim monarchy. 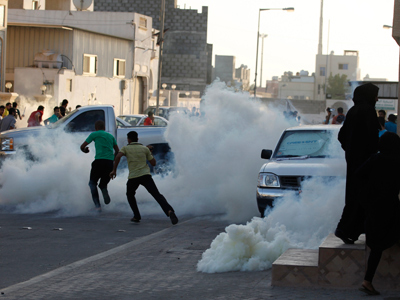 Among the condemned was the founder of the Bahrain Center for Human Rights, Abdulhadi al-Khawaja. 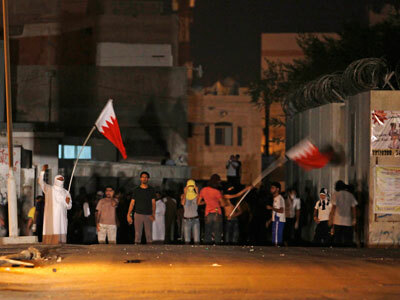 The Bahraini government has condemned the majority Shiite protest movement as sectarian extremism. Human rights groups decried the ruling, claiming that no evidence was presented to show that the defendants had perpetrated violent acts during protests. Amnesty International slammed the verdict and said it demonstrated "once more that the Bahraini authorities are not on the path of reform, but seem rather driven by vindictiveness." 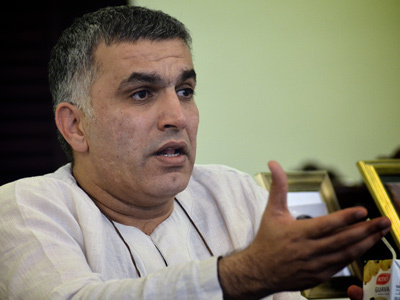 However, he believes that the very nature of the opposition movement in Bahrain will act as a barrier against radicalization. “No one wants to see a violent uprising; no one wants to see the sort of the violence that you see in countries like Syria. But that is a different type of violence because it is being backed by the West in proxy fashion through various other countries and Gulf states,” he said. 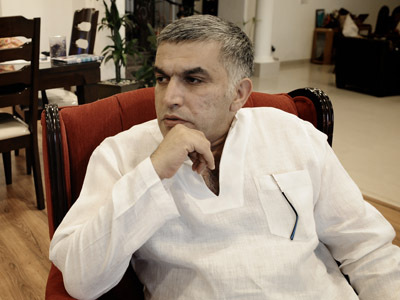 “The problem with Bahrain is: this is an actual democratic movement…this isn’t the fake Arab Spring that you saw in Egypt that was mostly a George Soros, NGO, sort of twitter-driven revolution," he continued. More than 50 people have been killed since the protests began against the Bahraini government in February of last year, coinciding with the birth of the Arab Spring. Shiite Muslins make up the majority of Bahrain’s population and claim that they are discriminated against by the country’s Sunni rulers. 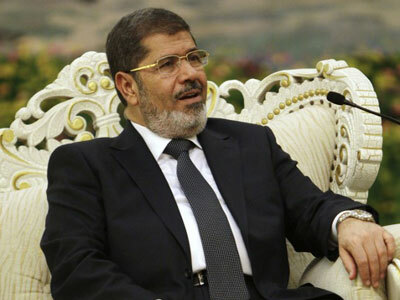 In response to public outrage, the Sunni government pledged to implement a series of reforms that would allocate more power to the elected parliament, away from the ruling monarchy. However, activists maintain the reforms will do little redistribute the balance of power in the island kingdom.